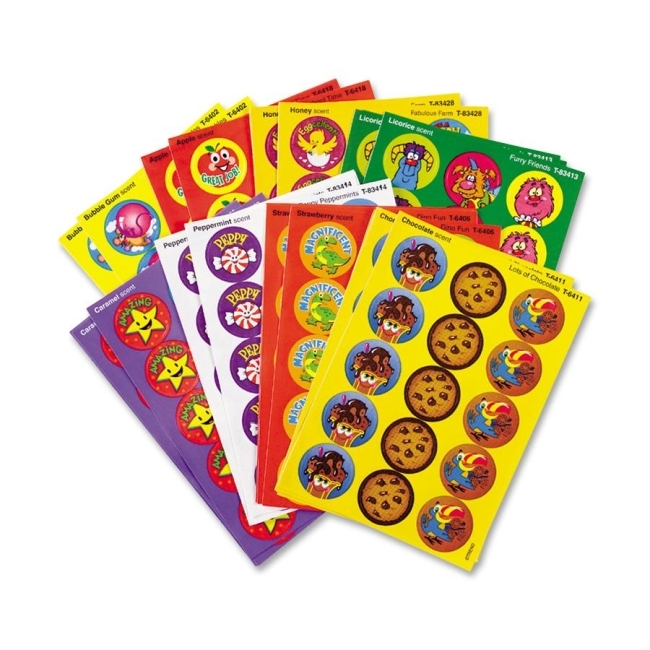 Fun and fancy large round Stinky Stickers offer delicious scents including bubble gum, licorice, peppermint, chocolate, popcorn, orange, taco and pizza. Scratch 'em and sniff 'em for a burst of fragrance. Acid-free. Nontoxic. Safe for use on photos. Popular as rewards, incentives and collectibles.